Purchasing is the process of buying goods and services from a vendor or service provider. The purchasing process can differ from one organization to another, but the key is it should be orderly and the core elements are established. A vendor is a person or company offering something for sale, such as products or service. It makes goods and services available to companies, customers or consumers. Vendors can be categorized by Vendor Types. For example, you can group vendors into the Subcontractors Vendor Type to find out how much is your expenditure from outside subcontracting in given period. Once you created the vendors, you are ready to create purchase orders. 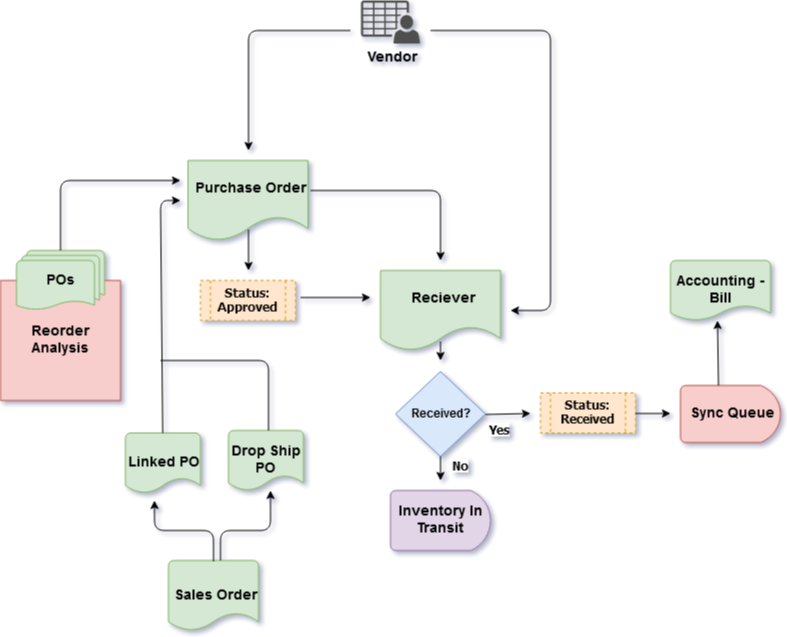 There are several ways to create a Purchase Order. The simplest way is directly creating a new PO from the Order Time's Side Menu (Create New > Purchase Order). A Receiving Doc can be created by receiving a purchase order OR created without a purchase order. When it correspond to a purchase order(s), it shows how much of the PO still needs to be filled. By default the quantities on the Receiving Doc are automatically pre-filled (unless the item is lotted or serialized). You can turn of auto-fill quantities in Purchasing Preferences. You can receive multiple purchase orders at the same time but you must do this from the Receiving Doc. There might be instances that you need to return Item or Items back to the Vendor for different reasons, such as damaged item, incorrect item or a consignment arrangement. Vendor Returns are transactions that show what Items are shipped by you back to the Vendor.